Even though I’m an adult living in adult-world, I’m still a teacher, which means that I still use academic planners! They just work so much better for my life than a traditional January-December spread would. Right now, I’m using a pretty Karen Adams Designs agenda. I still have my Passion Planner, but I’m not using it quite as much now that school’s out. I’m lucky if I have one thing scheduled each day (#teacherproblems). After quite a bit of "research", I ultimately went with the Plum Paper Planner (more on that later)! However, here are the top three others I had it narrowed down to and why! Here are my favorite 2017-2018 academic planners! Let’s start with the obvious: It’s pretty! Who wouldn’t get excited about seeing their plans surrounded in colorful Lilly artwork? Tabs: I’m a HUGE fan of monthly tabs! They make planning so much easier! Stickers: The Lilly Stickers are so cute and add a lot of happiness to your traditional monthly layout. Size Choices: With four size choices, it’s easy to choose the one that works best for you, whether you want to keep it on your desk or carry it around with you all day! Durable: The faux leather cover keeps your planner safe, even when it’s buried deep in your purse! Blank and Grid Sheets: “I’ll never use all these extra sheets!” I thought when I got my first Passion Planner. Ha! I keep so many lists back there that it’s ridiculous! Monthly Reflection Pages: We know that we should be reflecting on ourselves all the time, but it can be hard to remember! A reflection page follows each monthly spread, keeping you always striving to be your best and brightest self! Daily Plans: The 30-minute intervals keep me on track. They also keep me from overscheduling myself (like I like to do). It’s so easy to block out time (and to see large blocks of wasted time)! Customizable Weekly Spread: My all-time favorite planner had this feature and I still miss it! Type six different areas of your life (classes, kids, etc.) to keep everything on track each week! Editable: Type in your own plans, use your own fonts, write your own reminders. There is just something more professional-looking about typing out your plans! 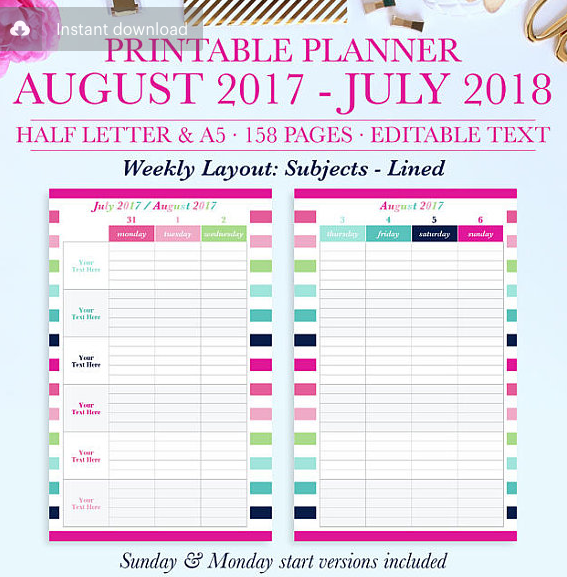 Printable: Some people don’t like planners that you print and bind yourself. However, I do because you put them in whatever order you want and eliminate pages you don’t need! 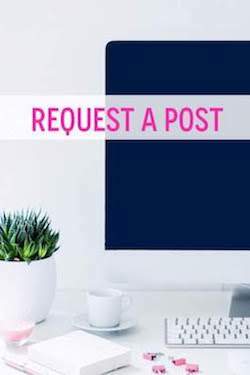 Bright Colors: It’s not hard to get me to spend my money… just show me some bright colors and I’m asking where to put my credit card information! Of course, there are hundreds of academic planners out there! These are just the three that I found the most exciting (today)! I am always on the lookout for the best planners each season! Any tips for finding planners? Do you have a favorite academic planner? Would you recommend it to others? Why or why not?